I will be in Lusaka, Zambia in July for a conference, flying solo on this particular journey. 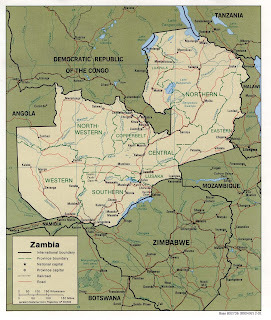 Not to fear as I will be nestled in the safe bosom of neighboring states Zimbabwe, Angola and the Congo. Like an infant rocked to sleep in a cradle of tranquility.